A new Pew Research Center poll says more Americans rank former President Barack Obama higher than any other when asked which president has done the best job in their lifetimes. Obama was named the best or second best president by 44 percent of Americans in the survey that came out Wednesday. Thirty-one percent ranked him as the best president in their lifetimes. President Donald Trump comes in fourth after President Bill Clinton and President Ronald Reagan, with 19 percent of Americans ranking him as the best or second best in their lifetimes. While 19 percent might seem low, 20 percent of Americans ranked Obama as the best or second best president in 2011, at a similar point in his first term and the last time Pew conducted this poll. Pew found that rankings changed by generation. More than 60 percent of millennials view Obama as the best or second best president of their lifetime and 46 percent name him as the best. 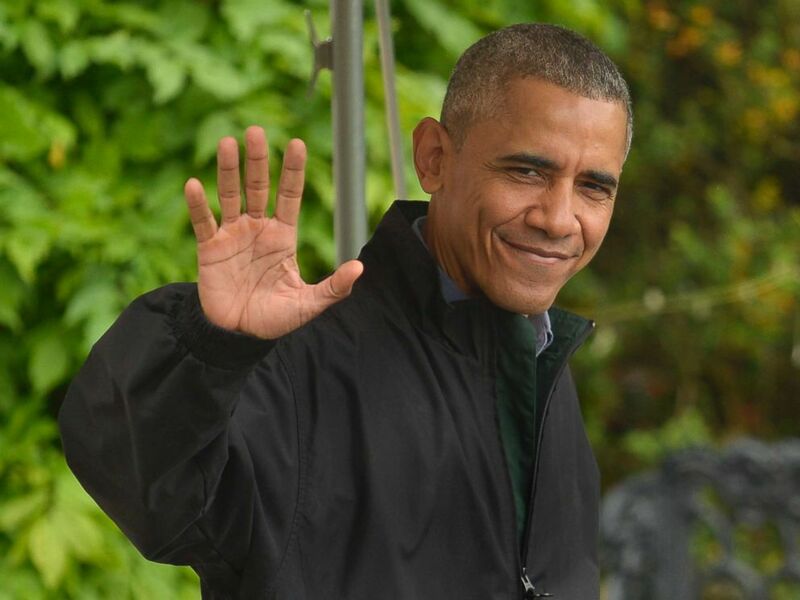 President Barack Obama waves to the press as he departs the White House for his week-long trip to Japan and Vietnam, May 21, 2016, in Washington, DC. Older Americans, baby boomers and the “silent generation,” chose Reagan as the top president during their lives. Forty-two percent of 54 to 72-year-olds and 38 percent of 73 to 90-year-olds rank Reagan as the best or second best. Partisanship also affects people’s choice of a top president, Pew found. Among Democrats or Democratic-leaning Independents, 71 percent ranked Obama as the best or second best president. Clinton comes in second, with 49 percent ranking him as best or second best. A majority of Republicans list Reagan as the top president, with 57 percent saying he’s the best of their lifetime. Trump comes in second among Republicans, with 40 percent naming him.